There’s nothing worse than experiencing bad reception during the big game or in the middle of your favorite show. Unfortunately, this is an everyday occurrence in thousands of homes all over the world. Believe it or not, many people still choose to use an antenna for watching TV rather than pay the outrageous prices for cable or satellite service. This is a smart way to save money and still catch much of your favorite programming. Don’t panic if your TV stopped picking up channels. This article contains some handy troubleshooting tips to help save the day. TV antennas can save you a ton of money, but they can be a hassle sometimes. Keep reading to learn what to do if your TV stopped picking up channels. Let’s face it, some days are better than others. It seems like reception always goes bad at the worst possible moments. When this happens, the first troubleshooting tip is to simply adjust the antenna. Television waves are a mysterious phenomenon to most of us. Somehow, our televisions just magically work. And just as mysteriously everything can go wanky without notice for no discernible reason. Regardless of what type of antenna you have attached to your TV, try moving it around. Place it in different positions, at various angles. If your antenna has rabbit ears, move the separate bars around to see if the picture improves. Also, keep in mind that the problem could be improper antenna installation. If your TV won’t find channels with the antenna, sometimes the location of the antenna is the problem. If your antenna has a long enough cable, move it around. Try placing near a window and see if the picture improves. It can often help to simply move it away from a wall because walls are full of electrical wiring, metal studs and fiberglass insulation that can interfere with reception. You might run into logistical issues if the coaxial cable that came with your antenna isn’t long enough. In this case, you’ll need to consider buying a coaxial extender. These are sold at most electronics stores and are simple to attach to the existing coaxial that connects the antenna to your TV. When relocating the antenna to a different side of the room or another part of the house, it’s a good idea to know which direction the TV transmission towers are located in your area. This allows you to angle the antenna toward the towers and improve the odds of clear reception. Another thing to consider is to move your antenna away from other electronics and metal objects. Remember that it doesn’t take much to interfere. Items like cell phones, radios, hand-held video games, gaming consoles, cable boxes and DVD players can all contribute to poor reception. If possible, place your antenna in a space by itself, such as behind your TV where it is hidden from view and clear of obstructions. Once you’ve adjusted or relocated your antenna and reception hasn’t improved, go to the settings on your TV and scan for channels. This process will automatically program your TV with the clearest channels your TV is able to pick up. The next step is a process called double-rescan. This is a process designed by the Federal Communications Commission (FCC) to erase and then reprograms channels in your digital TV’s memory. First, disconnect the antenna from your digital TV or converter box. Then, unplug your TV or converter box from its power source at the wall. Wait a full minute before plugging it back in. While the antenna is unplugged, go ahead and run the channel scan function of the TV. When the scan completes, all channel data should be erased from memory. There is more than one kind of antenna on the market for use with digital TVs or digital converter boxes. Some of the more expensive antenna models come with an amplification feature. This is kind of like attaching a nozzle to the end of a garden hose to widen the spray. Amplified antennas are typically more expensive, but they are a one-time cost and still significantly less expensive than paying a monthly cable bill. And if it can improve reception, an extra few dollars will seem like a small price to pay. One important thing to be aware of with antenna amplification is that you can blow out a TV tuner just like a car speaker when you crank the volume too high for too long. Ultimately, it’s possible that the problem is your antenna. Perhaps your current antenna has been knocked around a few too many times and has broken or there might be a problem with the coaxial cable. If you’ve been using an indoor antenna for a while, consider buying an outdoor model this time around. Outdoor antennas are typically bigger than indoor models and can be mounted on the roof of your house. Yes, they are more expensive, but your TV reception will likely improve exponentially. Keep in mind that an outdoor antenna might be impacted by bad weather conditions, so be sure it is securely mounted in place. Learning what to do if your TV stopped picking up channels doesn’t have to be complicated or expensive. Losing reception can be frustrating, but these simple tips should help you get back to watching your favorite shows as quickly as possible. More and more people are learning to save money by using an antenna rather than paying outrageous cable bills for hundreds of channels they rarely if ever watch. This is a great way to be a smart consumer. After all, antennas have been around for decades, and are a reliable and low-cost way to enjoy hours of entertainment. 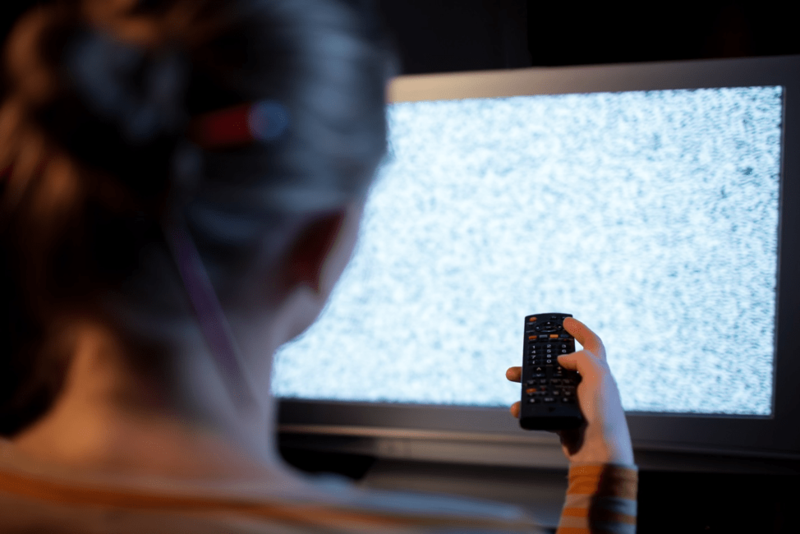 Click here to learn what to do if your TV goes wrong.